There is often much discussion and questioning that arises upon the issue of slaughtering, particularly on behalf of those family members who have passed away. This article will mention in a brief and summarised form some of the affairs linked to that from the speech of Shaikh bin Baz and Shaikh ibn ul-Uthaymeen رحمهما الله insha’Allah. Firstly, as Shaikh bin Baz mentioned, the actual act of slaughtering is a highly recommended Sunnah, and not an obligation in the opinion of many of the people of knowledge. It is an act an individual should do on behalf of himself and his household. The individual intending it cannot take from his hair, nails or skin from the beginning of Dhul-Hijja until he slaughters [hadith of Umm Salama with almost identical wording in Saheeh Muslim]. If however the individual does not slaughter the animal himself and instead appoints someone on his behalf, perhaps some type of butcher or slaughter house, or abroad [although not recommended by some scholars to have it done abroad, since the purpose of the slaughtering is not merely feeding the poor, in that instance everyone is able to send money as charity abroad any time, rather the slaughtering is a symbolic act in Islam which has benefits to the one slaughtering himself too, since it is Sunnah for the one slaughtering to eat from it himself and give to his relatives and neighbours], then in that case it is still the one who pays for the slaughtering that cannot take from his nails, hair and skin – as for the butcher or slaughter house people then they are free to do as they please regarding their hair, nails and skin since they are not the one intending the slaughter and paying for it, they are simply carrying out the act on behalf of someone else [Shaikh bin Baz]. Clearly as the Sunnah states, the individual slaughters for himself and his household, one slaughtering encompasses them all. However the issue at hand is regarding those who have passed away from the household; are they able to receive the reward for the slaughtering and therefore be included in the intention? 1 – Slaughtering on behalf of a deceased individual who had actually given councel [stated in their “will”] to have a slaughtering done for them from their wealth; in this instance it is done and implemented as the deceased wished and is actually obligatory to carry out. 2 – An individual slaughters for himself and his family who are alive and present within his household, and within that also intends members that have passed away for the reward; once again this is correct and permissible. 3 – An individual slaughters specifically and exclusively on behalf of a deceased individual without including his living family in the intention or having any will upon that from the deceased; this issue is the point of discussion between the people of knowledge. Shaikh ibn ul-Uthaymeen states that it has not been evidenced from the Salaf-us-Salih that they ever slaughtered independantly and exclusively for a deceased individual in this manner, rather the correct way is to slaughter normally for yourself and your living and present household and within that have the intention for the deceased members to receive the reward too, the father or mother etc. Although the Shaikh does not say that doing it exclusively is haraam or innovation, but instead states it is better to stick to the Sunnah as it has been evidenced. 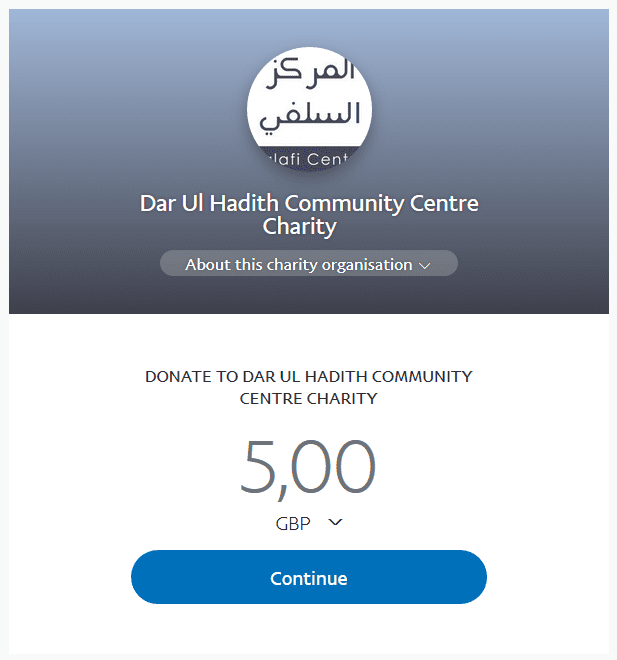 Some scholars have stated however that perhaps slaughtering on behalf of the deceased exclusively could be viewed as a form of charity, or at the very least be comparable to charity and therefore permissible, although Shaikh ibn ul-Uthaymeen states in that case it is a stronger act to simply give in charity rather than opting for an alternative action that is only “comparable” and not the same. In conclusion therefore, Shaikh Uthaymeen views that it should not be done exclusively for the deceased.